Home Off Beat	Butterfly skull tattoo: Bizarre or cute? Skull tattoos and butterfly tattoos are not that new to the tattoo industry. What if both amalgamate? 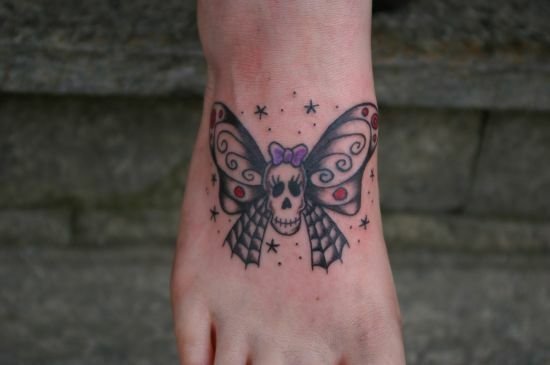 Pictured here is a cute butterfly skull tattoo etched on the foot. Skull with a purplish ribbon on its head is really cool.